What if you don’t like the data? While this is a pervasive aspect of being human – resolving the conflict between What Is and What Ought To Be (apologies to David Hume) – I want to play with going beyond the general case of dealing with bad news, such as the oft-mentioned Kübler-Ross model (Shock, Denial, Anger, Bargaining, Depression, Testing, and Acceptance). I wonder if we can get guidance and some measure of equanimity by framing the data from a scientific mindset. Let’s see. Cold curiosity predominated even in Auschwitz, somehow detaching the mind from its surroundings, which came to be regarded with a kind of objectivity. This is not to say you don’t acknowledge or experience your emotions; far from it. In fact, your reactions and feelings are themselves data. But it helps to think of them as playing a separate role. We can draw comfort from keeping an experimenter’s journal, which is your record of not just the data but of your experimentation process itself. While this is a common tool in the self-help literature, our take here is inspired by what Jim Collins termed a bug called Jim – the idea of studying and gaining insights from the odd and fascinating creatures that we are. This further reinforces objectivity. What was my theory going in? Classify it as a problem. Constraints simplify. In our model of the situation the data describe, we have a finite set of things we can do. 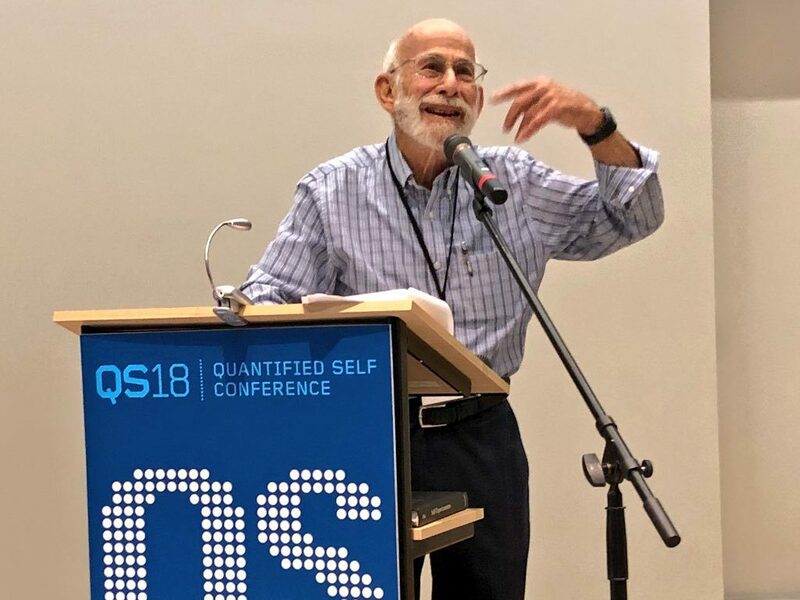 As students of self-quantification it is logical to identify realms of control, and to take some comfort from concrete reality – that is, facing the brutal facts. I suppose this is my attempt to make a secular version of the saccharine Serenity Prayer. This perspective doesn’t mean you have to be passive, though. Remember that self-tracking is about the power of discovery. Finally, rather than the cold, solitary scientist portrayed on TV in a sterile white lab coat, in reality the best science is done in collaboration with others. Soliciting the help of friends, family, and fellow experimenters can enable identifying biases, fleshing out our analysis, and importantly, giving emotional support. This makes it so that it’s not just you and the data. I love Lewis Thomas’s observation that he could tell when something important was going on in an experimental lab by the laughter. And being able to laugh in the face of nasty data – that’s a true gift.